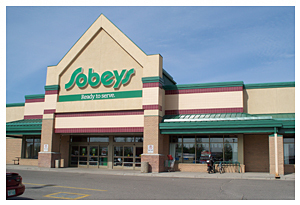 Sobeys is focused on food and superior customer service. Our produce, deli, seafood, meat and baked goods are the freshest you'll find. We carry all the leading national brands and our own Compliments label products. Looking for the ultimate fresh food shopping experience? Just add Sobeys.